If you’re looking for the perfect way to get into the spirit of Halloween, we’ve got you covered with scary (and not so scary) board games. Betrayal at House on the Hill – Beware: The house will turn one of you against the rest. It will take all of your strengths and skills to defeat the traitor and escape the Betrayal at House on the Hill. 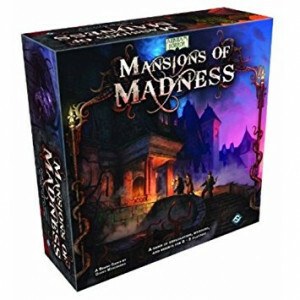 Mansions of Madness – One player takes on the role of the keeper, a malevolent force working to complete a sinister plot. All other players take on the roles of investigators who explore an eerie location in the hopes of solving a mystery before it’s too late. Mysterium – One player adopts the role of the ghost and the others play as psychics. All players share the same goal of shedding light on the strange circumstances surrounding the ghost’s death and laying his spirit to rest at last. 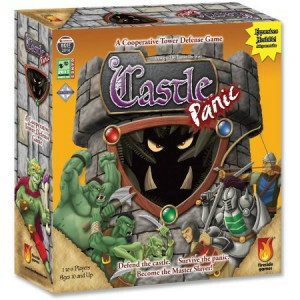 Castle Panic – Can you work with your friends to defend your Castle against the horde, or will the monsters tear down your Walls and destroy the precious Castle Towers? Ghostbusters Protect the Barrier Game – The evil Rowan is trying to break open the Durable But Not Impenetrable Barrier and release the dead! He’s placed Paranormal Energy Devices all over the Mercado Building, and it’s up to the Ghostbusters to find them and get them out before the fourth Cataclysm begins and the building is completely haunted. Zombie Dice – Zombie dice is fast and easy for any zombie fan (or the whole zombie family). The 13 custom dice are your victims. Push your luck to eat their brains, but stop rolling before the shotgun blasts end your turn. Ghooost! 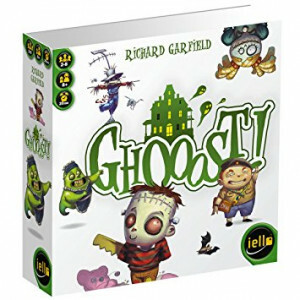 – Each player is the proud owner of a haunted mansion and must drive away all the inhabiting ghosts by dawn. And how does one drive a ghost away? By scaring it off with an even more frightening ghost. Ghost Blaster – Together in Ghost Blaster, the players try to hit and trap the ghosts with the right amount of goo. Ghost Blitz – Players must grab (or shout) for an item on the table that matches the shape and color of what’s shown on a card. Also, check out our list of (not scary) monster games for kids! Laura chooses new adult fiction and adult audiobooks for both library locations. She reads widely, but her favorites are usually literary fiction and memoirs. She has read The Great Gatsby three times. Laura is originally from New Mexico, and sometimes misses the sunshine. She embraces any opportunity to speak French or eat snacks. Launchpad Tablets – Lessons & Games for Everyone! Expand your search through Interlibrary Loan!